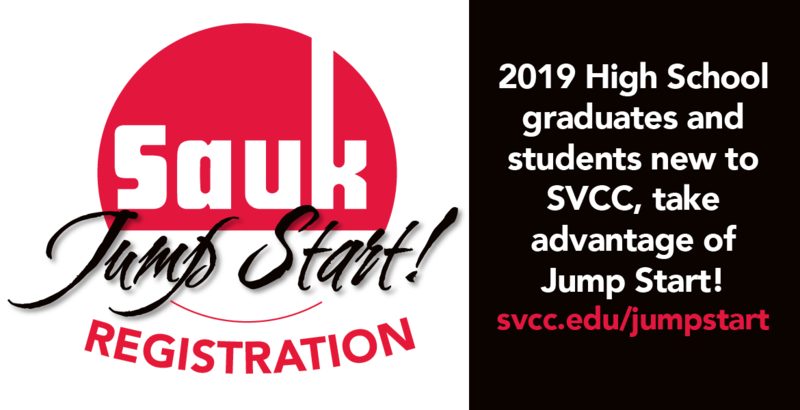 SVCC offers High School seniors and any new to SVCC Student the chance to get a Jump Start on their college career at Sauk. Sign up online at svcc.edu/jumpstart from now. LIMITED SPOTS AVAILABLE. Questions: Contact SVCC Admissions, 815-835-6273.